Introducing Redland Hills Church planting! Praise God for new beginnings! 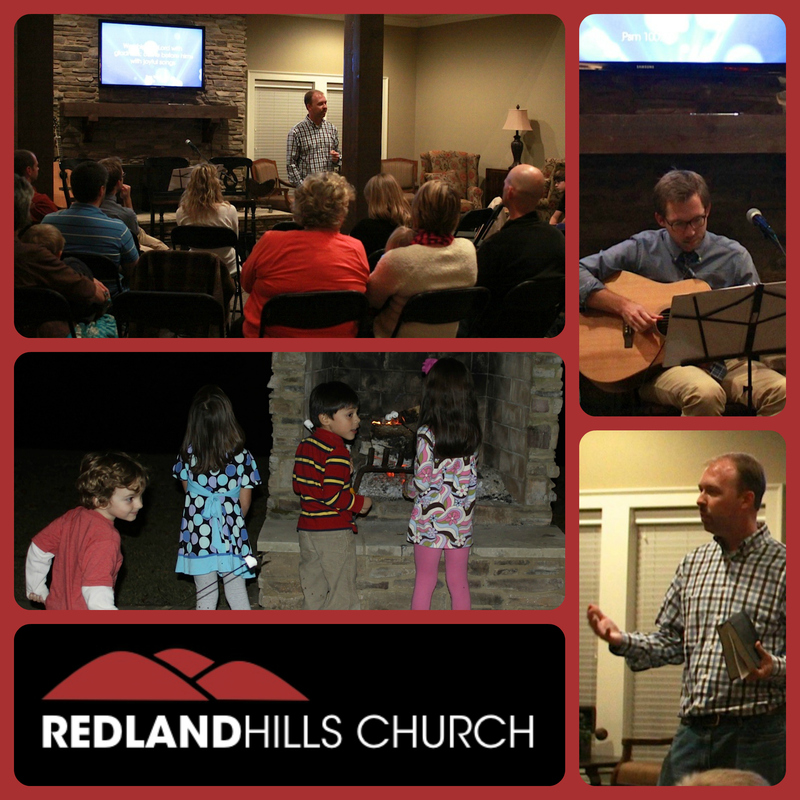 On Monday, November 18, 2013 the Redland Hills Church in Wetumpka, AL held its first gathering. After months of conversation, planning, and praying, our core families, along with others who have been interested in what we are doing, gathered for a night of worship and thanksgiving. And we have much to be thankful for! God has been walking with us and far ahead of us each step we have taken. We are grateful for the partnership, advice, and coaching from Mission Alive to even get to this point. We have been blessed with a great space in a neighborhood clubhouse, with even space for a kids program. We’ll begin renting this space each Sunday beginning in January 2014. And we’re so grateful for the many prayers and encouraging words that friends and supporters have shared. It is humbling to begin a new work like this, but so rewarding to see it come to fruition. In late July Becky and I finally finished writing and editing the second edition of Missions: Biblical Foundations and Contemporary Strategies. Completing this missions text is very significant for Mission Alive. Writing the chapter on “Planting, Nurturing, and Training: An Incarnational Model for North America” (in the context of the other chapters leading up to it) has helped to sharpen our thinking and led us to be very intentional in the process of church planting and renewal. This text has nine new chapters and moves more intentionally from theology to practice than the 1996 edition (http://zondervan.com/9780310208099). This first edition has gone through 12 printings. Its publication will also be significant for us as a ministry. In the next few weeks I will continue blogging a few excerpts from this text. We invite you to read and to respond. Jim and Julie discerned that they were naturally gifted as evangelists and this understanding amplified their interest in missions. As youth ministers, they felt the calling of God to begin Missional Communities, meaning in this case, Christian relational networks within schools to help searchers know God and walk with him. 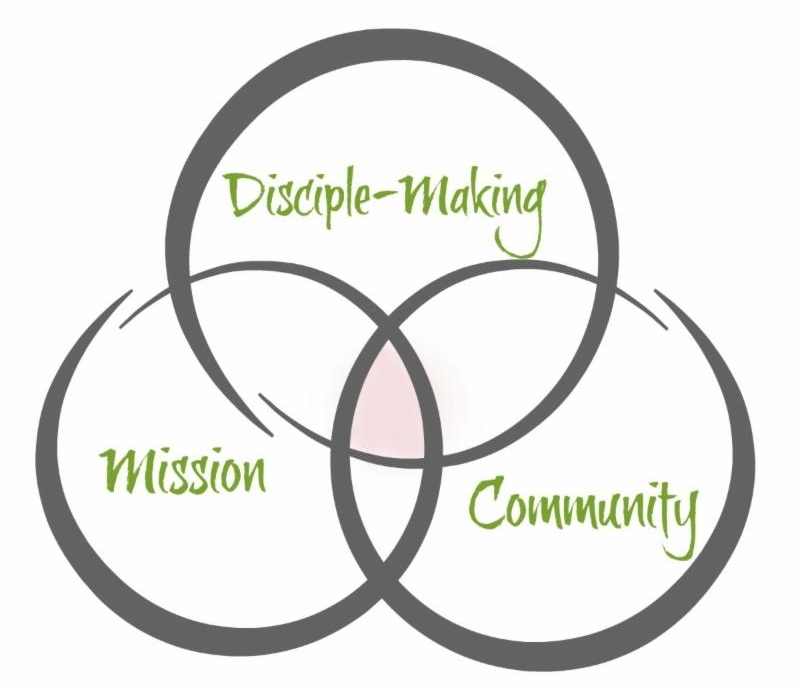 With other leaders of their church, they conceived of multiple Missional Communities, embedded in neighborhoods and relational networks, as extensions of their public Worship Gathering on Sunday morning. The seeds of the communities were planted when they began to pray with Christian student leaders about their schools and to minister with these students during campus activities and in coffee houses. They were present for many school activities; it was their arena of mission. Soon Jim and Julie were ministering to a broader group of students who were friends of the core group within the church. After a student’s death, Jim and Julie were at the school to comfort, counsel, and pray. They attended many sports events and the coaches frequently asked them to pray for and minister to struggling students. Jim and Julie attempted to model Jesus’ ministry on earth in their campus environments by teaching, listening, praying, and healing. Reflecting the ministry of Christ, they also prayed diligently for the students from their church who ministered with them. After extended prayer, they selected twelve students, six from each of the two high schools in their area, and invited them into two discipling huddles. The huddles’ focus was to help the students grow as disciples of Jesus and partner with them to be Christ to their campuses. As a result, within a year missional communities of about 40 students were ministering in the name of Jesus on each campus and worshipping in the church’s public gathering. Mission had gone out of the church building and into the schools and homes of the community. What do you think are Jim and Julie’s assumptions about the nature of ministry? Florence Pohl (Flo) was the quintessential American unbeliever: skeptical of organized religion, lonely and isolated, passionate about helping others, and open to faith and God. She recently crossed paths with Kyle Mott, a Mission Alive church planter in Wichita, Kansas, with the River City Christian Community. Flo’s story is about faith, community, mission in the workplace, and not least, transformation. Through her interactions with River City Christian Community, Flo was transformed by God’s power from a lonely person who struggled to see how God was at work in the world to a disciple of Jesus on mission with God! Click on the picture below to hear Flo share her story. Last week the Mission Alive staff attended the Exponential Conference, the largest gathering of church planters in the world. 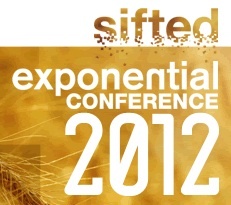 Every April over 5000 church planters gather in Orlando, Florida, to think, pray, worship, learn and grow. 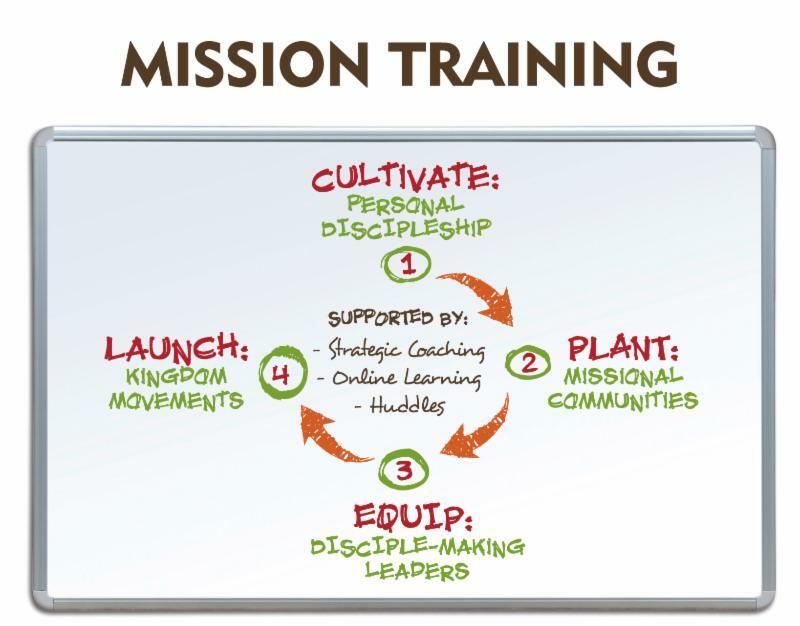 If you are a church planter or church planting ministry like Mission Alive, it is THE place to be. Each speaker exhorted the audience to have courage, perseverance, integrity, deep dependence upon God, obedience, and much hope. The final session focused on healthy rhythms and boundaries for church planters and their families. Dave Ferguson interviewed Bill Hybels, his wife and two adult children about how they maintained a healthy family as they ministered. Amidst his many wise thoughts Hybels said, “In ministry you’re going to disappoint someone. Try not to make it your kids.” Great advice for every Christian trying to live by faith and raise a family in the midst of such busy lives! Most church planters and church leaders understand the importance of personal development, soul care and family care, yet these are often lost in the frenetic activity of church leadership which results in a life and family unprepared for the inevitable sifting. Jesus’ words of warning to Peter echo far and wide throughout Christian history. Satan has indeed sifted many missionaries, church planters, ministers and preachers. Today we can be sure that he is preparing to sift a new generation of Christ’s servants. Join us in praying for God’s blessing and protection on Mission Alive church planters on the front line of the Kingdom of God. If you would like to join our Prayer Team and receive weekly prayer updates, contact Holly at holly@missionalive.org to be added to the prayer list. 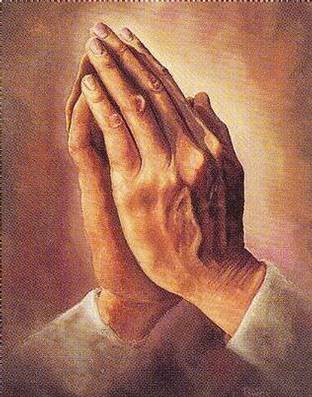 Prayer, like conversion, is a turning to God. This turning to God is very difficult for human-focused, individualistic Euro-Americans and those culturally influenced by the secularism of traditional Western education. We are taught to rely on ourselves rather than on God. How then can we learn to pray, to turn to God? The answer is imitating others who depend on God, modeling their examples. The early disciples learned to pray by watching Jesus. They watched him go to a solitary place to pray (Luke 4:42). They witnessed that he “often withdrew” from proclaiming the kingdom of God and healing the sick “to lonely places” to pray (Luke 5:15-16). They learned that before Jesus selected twelve of them to become his apostles that he “spent the night praying to God” (Luke 6:12-15). They heard his prayers before his death, “Father, the time has come. Glorify your Son, that your Son may glorify you!” (John 17:1), and his death had the power to give them “eternal life” (John 17:2). They did not fully understand this prayer, but the words stuck in their minds. But the journey to his death was not easy. He urged his disciples to pray that they would not “fall into temptation” (Luke 22:39-40) and then withdrew “a stone’s throw away” and prayed, “Father, if you are willing, take this cup from me; yet not my will, but yours be done” (Luke 22:41-42). Luke says that he prayed so earnestly that “his sweat was like drops of blood falling to the ground” (22:44). 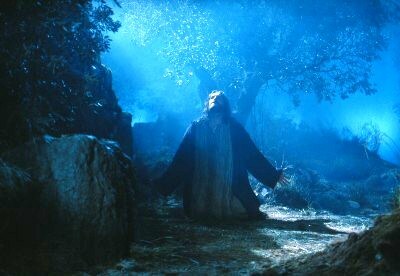 This took place in the Garden of Gethsemane at the foot of the Mount of Olives, where Jesus habitually took his apostles to pray (Luke 22:39). Jesus’ journey was typified by prayer to His father and was witnessed to by his disciples! Learning to pray cannot be done merely by studying prayer, telling people to pray, or teaching the components of prayer. 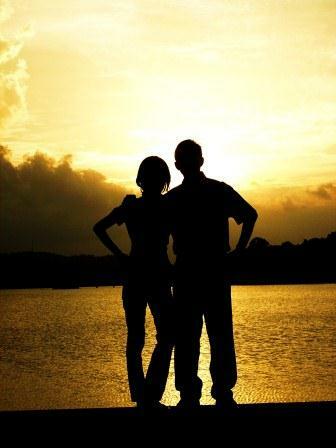 It is best done by imitating those who are walking in a dependent relationship with God. 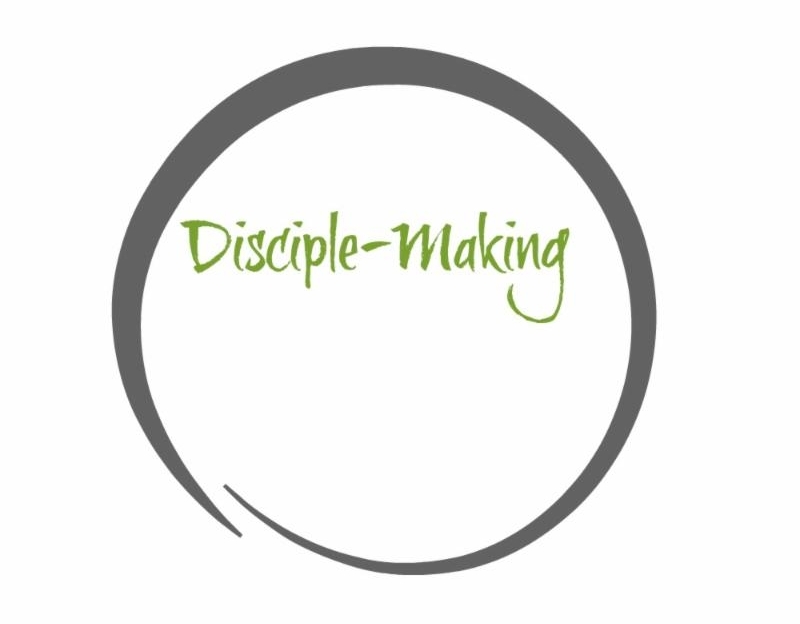 Learning by imitation thus becomes an inextricable part of our disciples-making. Expectant prayer must be modeled in both community and ministry. I am currently learning how to more effectively huddle church planters and ReVision church leaders for the purpose of disciple-making and leader-equipping. 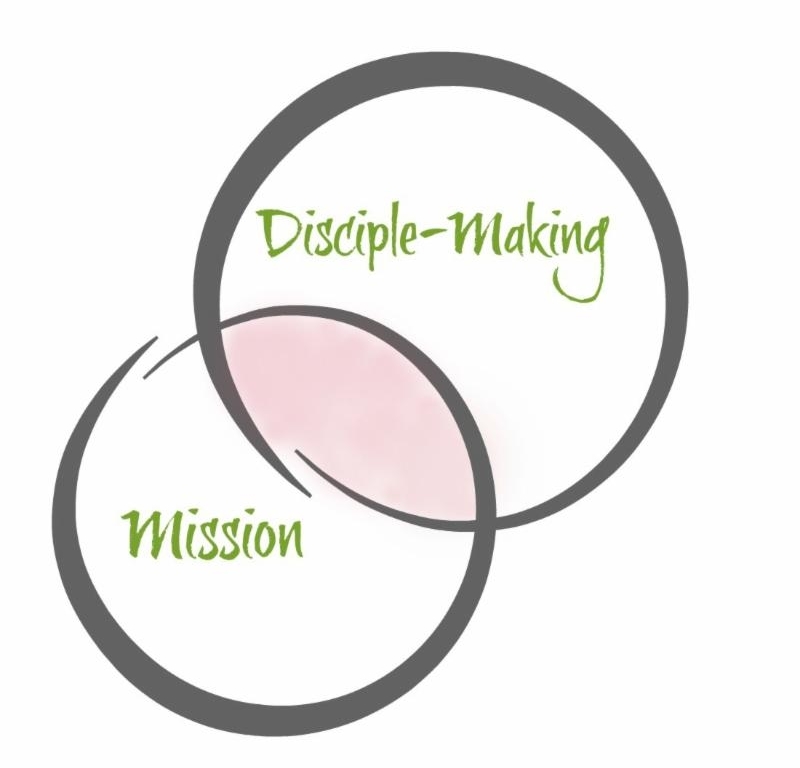 In this process I am like “a sheep from the front and a shepherd from behind” (p. 40, Building a Discipling Culture – Huddle Guide by Mike Breen and Steve Cochram). In other words, I am following those who disciple me while simultaneously guiding others on the road to becoming mature disciples and leaders. In these various huddles I am learning prayer both from the vantage point of a follower and a leader.